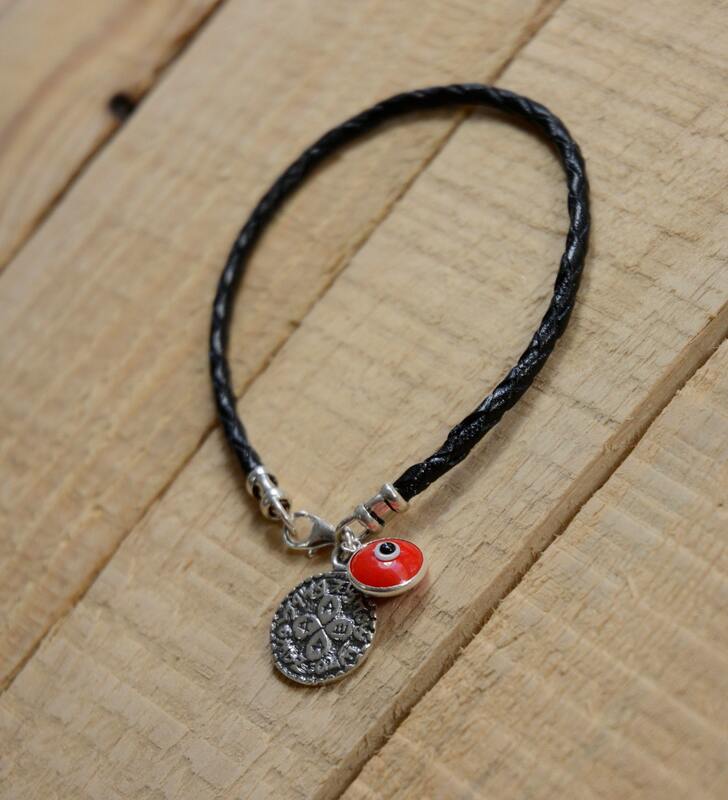 A beautiful thick (1/8") braided leather bracelet with the Solomon Seal for love and attraction. 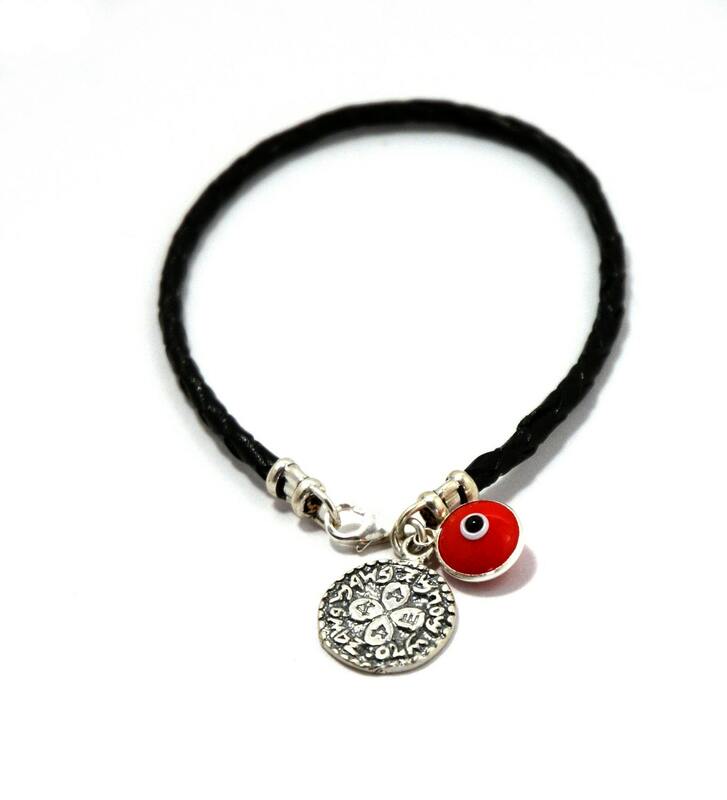 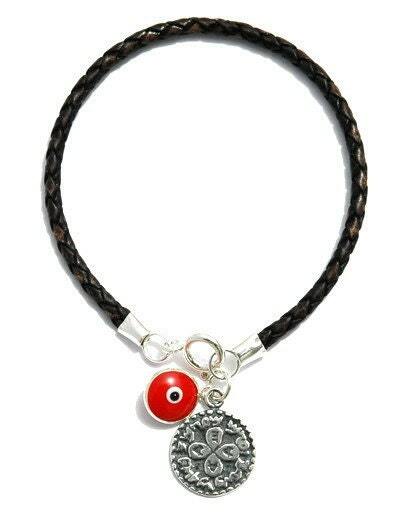 The bracelet also includes a Red Evil Eye charm. 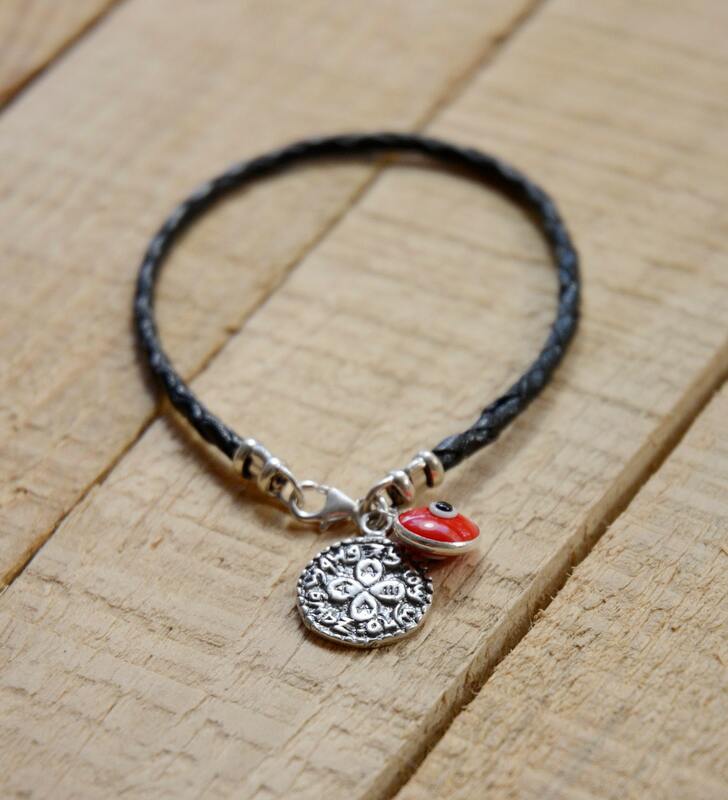 All charms are 925 Sterling Silver.